Posted in: Art, Music, Photography. Tagged: 1600's, French, Nelson-Atkins Museum of Art, Nicolas Poussin, Oil on canvas, Red Red Wine, The Triumph of Bacchus, UB40. "Bacchus, the god of wine, leads this entourage of mythological characters in a triumphal return from victories in India. His chariot is drawn by centaurs, mythical creatures who are half-human and half-horse. 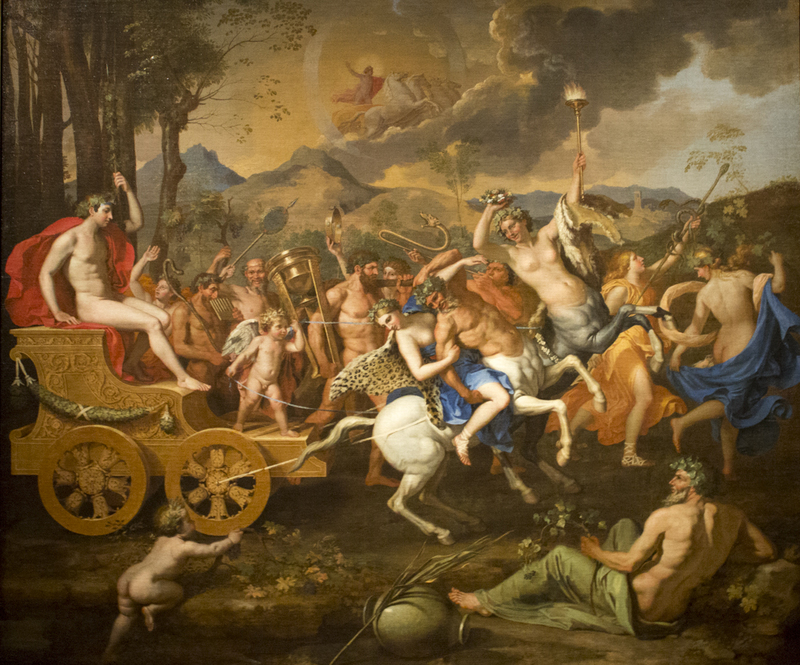 Accompanying him are Pan with his pipes and Hercules, who has stolen a tripod from Apollo, the sun god, seen driving his chariot across the sky. A river god, symbolizing the river Indus and the Indian subcontinent, lounges in the lower right foreground. Poussin spent most of his career in Rome and was the prime inspiration for the classical revival in French art. This painting was one of a series of three commissioned by the famous French statesman Cardinal Richelieu." The old masters art was quite intricate and a filled with fantastical creatures,meant to adorn palatial walls. Thank you Maverick. Like my all post please?